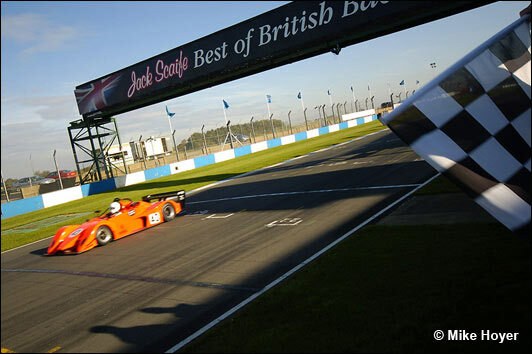 Will Curtis, in a works-backed Juno SS3, pulled no stunts to take a maiden win in the first Britsports race on Saturday, whilst Doug Hart, driving a Chiron, survived to win Race 2. It was, in fact, Curtis and Hart that laid down their markers in the single qualifying session, sharing the front row, with Curtis’ 1:07.436 being just 0.117 quicker than the more experienced Hart. 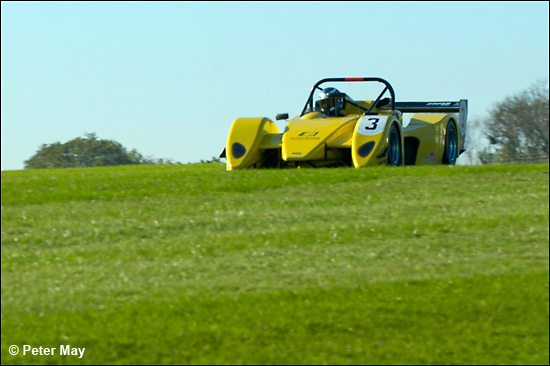 Tony Freeman, last season’s series winner, was third in his supercharged Radical Prosport, in front of the unique Zeus of Jonathan Edwards and Alastair McKinnon. 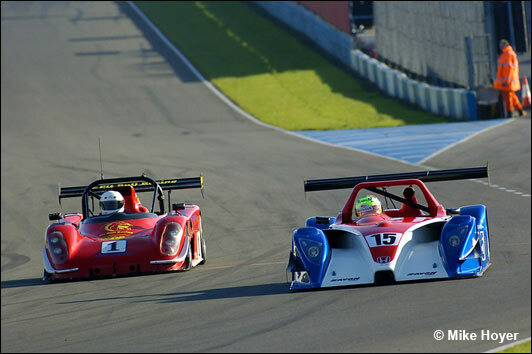 Duncan Williams’ Radical Prosport lined-up fifth, then the Ligier of Edward Lovett and Honda F1 paint-sprayer Matt Manderson. 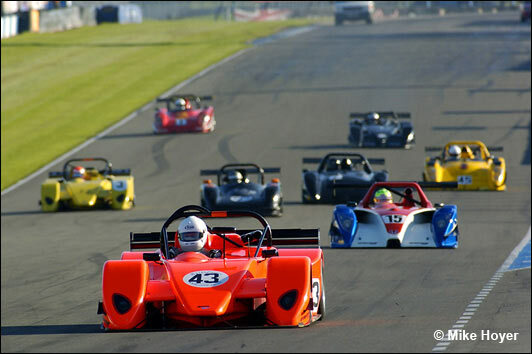 Britsports regular Simon Heaps was seventh in his Radical Prosport, brother and sister Richard and Nicola Bernans placed their Radical SR3 eighth, and ninth was the works Juno SS3 of Tony Allinson and Stimatis Katsimis, having not completed a flying lap during the session. “It was a dead battery, but we’ve fixed it now,” explained Juno boss Ewan Baldry. With Hart and McKinnon starting from the pit lane, eight cars took the green light for the one-hour race, and whilst Curtis went into an immediate lead, Allinson showed his mettle by powering the Juno up to second place from the back. By lap two he was in the lead, as Curtis fell back to be threatened, and eventually passed, by Hart (below). With early retirements by Heaps and McKinnon (above), it didn’t augur well when, after just 15 minutes, Allinson cruised silently down the pit lane in the leading Juno, his engine dead with an electrical fault. Five laps were lost whilst the problem was sorted, and Katsimis, Greek F3 champion, and Greece’s A1 GP aspirant, jumped in to bring the car home fourth. Curtis, in a strangely erratic performance, had slipped back behind Duncan Williams’ Radical, but was now on song again, and mounting a challenge on new leader Hart. The mid-race pitstop period saw Tony Freeman lead briefly, but his Radical Prosport suffered drivetrain problems with just 10 minutes to go, but he had done enough to be classified fifth (seen alongside the Lovett / Manderson Ligier, below). ...was just a little too late, and Curtis took a win that had been fraught with spins, and a finger-wagging from the men in blue shirts. 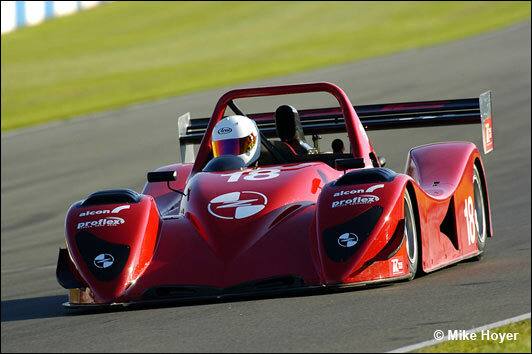 But he has accomplished much in his first year of motorsport, from his tentative steps in a Prosport LM3000 at the start of the season, and, lest we forget, his stunning aerobatic display at the Silverstone 24 hours meeting. Race 2, again an hour’s duration, saw a depleted field line up in the finishing order of the first race, with the exception of Duncan Williams, who, having had a drive shaft changed on the Radical, joined the race 10 laps down. 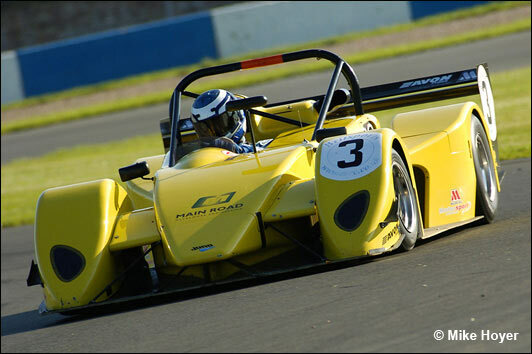 Doug Hart made the early running, with Allinson’s Juno second, the similar car of Curtis third, and Freeman a somewhat distant fourth. Not for long though, for the feisty little driver began to punch in a series of stunning laps that saw him catch and pass Curtis on lap eight. 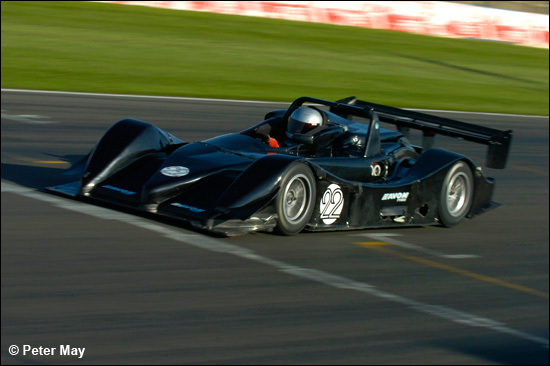 Before the half-way stage, however, the supercharged Pit Bull Racing Radical was parked-up in the garage, out of the race with a defective clutch slave cylinder. This was becoming a race of attrition, and, simultaneously as the race reached its midpoint, Doug Hart’s Chiron was circulating in the lead, Tony Allinson’s Juno cruised down the pit lane with a dead engine once again, and Will Curtis spun off onto the grass at Redgate. No need for a safety car, though, for Hart chose the moment to make his mandatory stop. So, after two minutes silence, Hart was back on track again, Curtis got back going thanks to a push- start from the marshals, and Allinson made a tentative foray down the pit lane. Redgate was as far as he got though, coming to a rest, for good, on the grass. 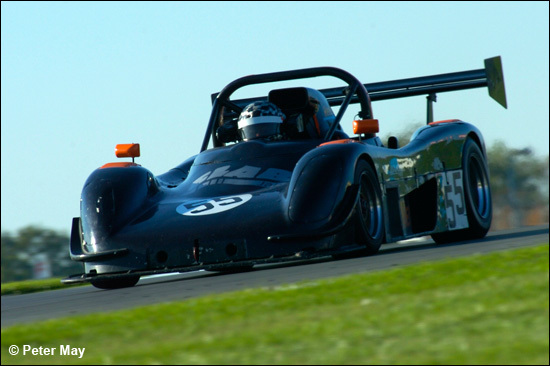 Sensing he could salvage something out of this, Tony Freeman gave it another go, circulating in one gear, and on the same lap, many down from the leader, as a rejuvenated Duncan Williams, who had also rejoined in the late-starting Radical Prosport. Sadly, though Freeman carried on and took the flag, neither would be classified finishers. Doug Hart took the win, after 51 laps. 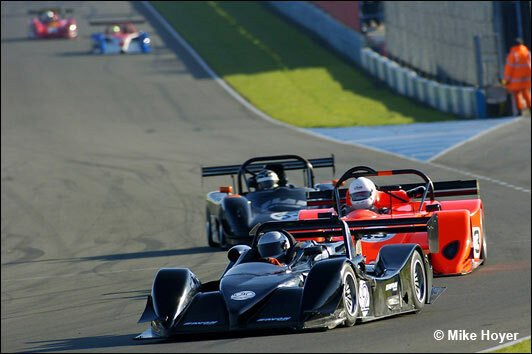 Chiron World Sports Cars, run by ace engineer Henry Nickless and father Bill, have had a challenging year, and the win was a fitting result for their efforts. Will Curtis survived dramas to finish second.